By our very nature humans are drawn to images and graphics. Rather than reading table upon table of boring statistical data, we put them into graphs and charts so they are easier to read and understand. (And they look nicer too.) 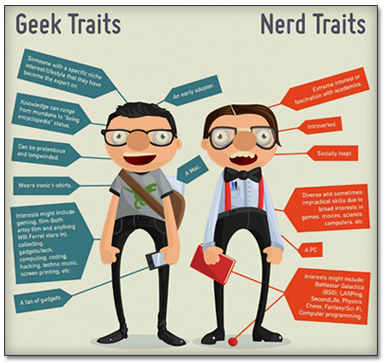 With the dawn of social media the use of these graphics to represent all sorts of information has blossomed into a whole new category of image. You have probably seen them before. They are a visual way to represent just about any sort of data set you want to. Sometimes they are great for getting at the heart of data, while others, well they are what some would call clickbait. Either way they catch our eye and draw our attention. 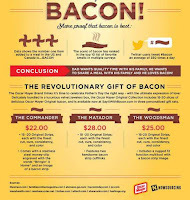 We know infographics do a great job of conveying some sort of data or message in an appealing and visual way. They can also provide an alternative to students who are looking for a better way to demonstrate their understanding or to show off their artistic abilities. 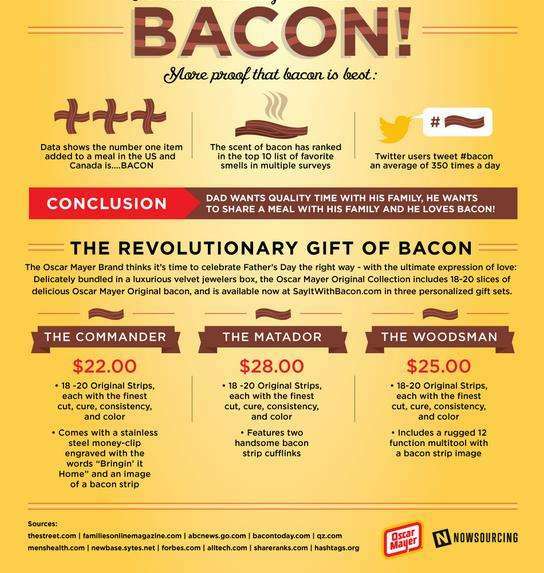 Infographics can be used in all sorts of projects. And believe it or not, you don't have to be a graphic designer to create them. All it takes is some data you want to visualize and knowing where to go to create them. Canva: This is another that you may have heard of. Canva has been around for a little while and provides a free and easy way to create visuals. With tons and tons of templates to choose from you simply drag and drop different elements to make the perfect design. And it’s not just infographics that you can create. Images for social media, slide decks and more can be created there. 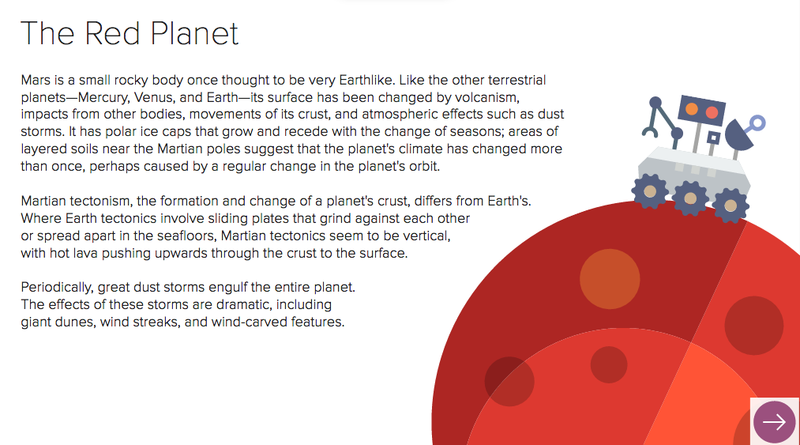 They also have a whole section for educators to learn how Canva can be used in the classroom. Adobe Spark: Similar to Canva this is a tool that starts with some text or data and builds a graphic around that. There are many templates to choose from and it’s easy to insert your own graphics, additional text and change the entire look and feel of your graphic with the click of your mouse. And like Canva, graphics can be created for all sorts of other kinds of purposes. 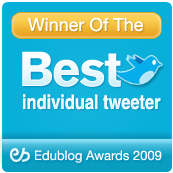 Easl.ly: This has to be one of the most widely used infographic programs around. Like many of these sites, pick a template and customize. 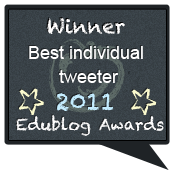 What I like about Easl.ly are the collection of templates. They already have an infographic look and feel to them. So for the classroom kids simply pick the one they want to use and insert their data. There is very little design needed. Just the data. Of course it they want to customize their image they can. The tools are very straightforward and easy to use. You can also search the gallery for infographics already created to get ideas or to find something to use in your next project. Creately: Creatly is an online mind mapping program that is pretty powerful. You can create all sorts of diagrams and you can do it collaboratively so this could work really well in the classroom. You can even try it out without signing up for an account. These graphics could be used as part of a larger infographic project too. I like Creately because of the ability to create flowcharts to show how data moves through systems or just for simply organizing ideas for an infographic project. Kathy Schrock has an entire website dedicated to using infographics in the classroom. She has gathered a ton of apps, sites, lessons and ideas and reviews how infographics are a great way to assess what kids know. It's definitely worth checking out. The work I do allows me to travel all across the US and the globe talking to various groups of people about all aspects of education. One of my favorite things to talk about is leadership. For example, I will work with groups of Principals or Superintendents to talk about what technology leadership looks like or how they can grow their leadership through the use of technology tools. And while I can't really disagree with those definitions they don't really speak to the heart of what leadership means. In education we have lots of leaders. Superintendents, Principals, other positions of power, actual or perceived. However, being a leader isn't one of position or even power. It's those qualities that people possess that make us want to follow and work as hard as we can. Teachers can be leaders. Students can be leaders. Parents can be leaders. From time to time we all need to be reminded what awesome leadership looks like. And when I need that reminder I turn to the Dancing Guy. There is a lot Dancing Guy can teach us about our own leadership. Do you have guts? This guy is my hero. He felt something inside his soul. The music made him want to move. He didn't care what others would think. He got up and started moving. Kinda like in schools sometimes. Being the first person to stand up and dance is risky but often times it starts a movement. We have to have guts to be a leader. Leading is tough and standing up for what is right (which often isn't what everyone believes in) takes guts. 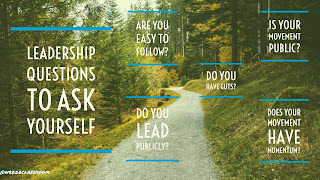 Are you easy to follow? The leadership Dancing Guy provides is instructional almost, as the video points out. So from the very beginning people watching know it is going to be easy to mimic. Kinda like schools sometimes. Leaders need to lead in a way that is easy for others to follow. Nothing complex. And being followed shouldn't be a difficult task. Just simple leadership to drive change. Do You Lead Publicly? When the first follower decides to embrace the leadership, Dancing Guy doesn't just keep doing. He shows the follower how to do the dance. He embraces the follower and wants him to feel as good as he does. Kinda like schools sometimes. When we want people to follow, we not only need to be easy to follow but we need to do it in a way that is easy for others to embrace. Sometimes that means showing them. Modeling good leadership is an important skill to master. Like the video says, "he embraces the follower as an equal. So it's not about the leader any more." Leading publically means more than just in the classroom or in the building. Leading means connecting with other leaders to discuss and debate. We have to look beyond our walls and seek out those connections. Is Your Movement Public? Once that first follower follows and they both are embracing the dance others begin to join in. Their (notice is plural now) leadership is public and then becomes a movement. And that movement is public for all to see. Kinda like schools sometimes. If the leadership wants to gain momentum and followers we have to make our movements public. Using social media tools can help. Showing what you are doing on your school Facebook page or Twitter account, posting videos to You Tube about the movement, talking to others. The more open your movement, the easier it is for more followers to join in. Like the video says, " Everyone needs to see the followers because followers emulate followers, not the leader." Does Your Movement Have Momentum? Once we get 2 then 3 then more followers the momentum takes over and the movement is in full force. More and more people join in and then the tipping point. This is the time at which people feel compelled to join in because there are more followers now than watchers. Kinda like schools sometimes. Once the movement gains steam and more and more followers join there comes a point at which people feel they have to join. They don't want to be "that guy" looking from the sidelines while the movement passes them by. So if we include the ideas from above, if our movement is public and we are modeling what we want and we foster leadership in others than it is that much easier to lead. It actually takes care of itself doesn't it? This post is sponsored by Samsung. All thoughts and opinions are my own. When I was an Instructional Technology Director one of the challenges I faced was working to ensure that students, no matter where they lived in my district, had access to the same tools and opportunities. I could provide technology that could be used in the schools, and provided high speed network access while they were in schools. However, when students went home there was no way to guarantee they’d have any access to high-speed internet when they got there. For schools considering 1:1 initiatives, Bring Your Own Device or other digital rollouts, ensuring that students have access to a high-speed internet connection outside of the school building is key. Often, much time and decision making power is spent on the device chosen, rather than if it can be used at home. Access to the internet and digital resources is now easier than than just a few years ago. 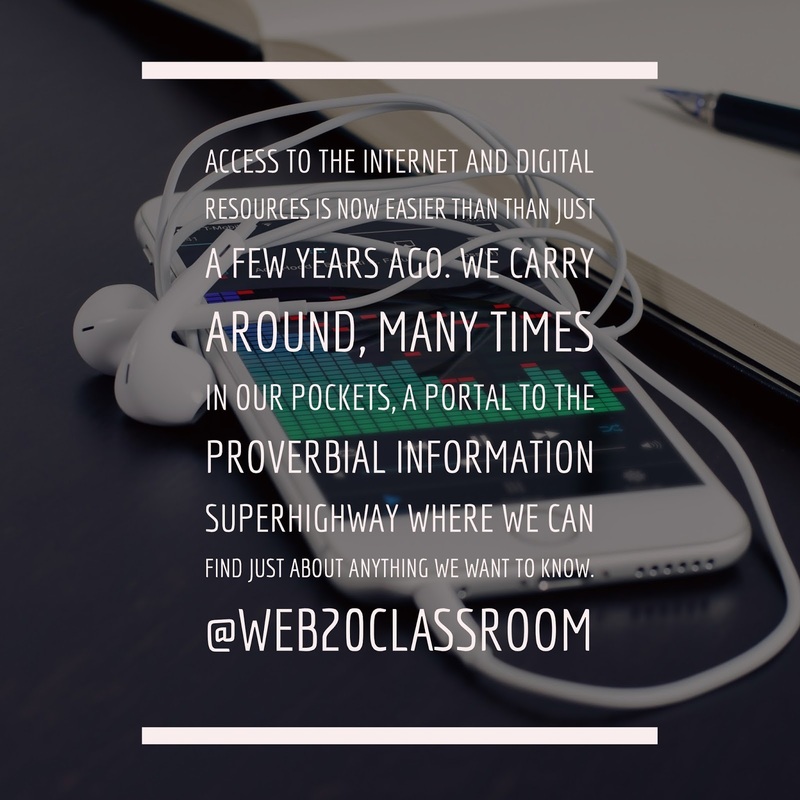 We carry around, many times in our pockets, a portal to the proverbial information superhighway where we can find just about anything we want to know. It’s not like it was back when I was high school when this was a familiar sight. 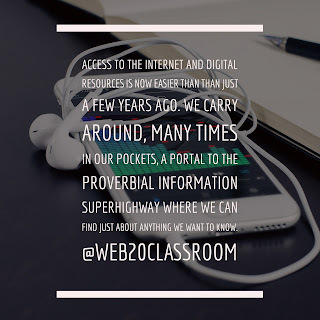 However for many students there is a struggle to provide that access at home so they can access those digital resources away from the classroom. Be it because of the cost is out of reach, the geography or topography is preventive or some other factor, the reality is many students go home and don’t have the access they need. In a new whitepaper from Samsung, they outline if we want to further shift classrooms to being more digitally centric we have to focus efforts on ensuring students have access to digital resources at home. Samsung, along with other companies, are working with districts across the U.S. to help figure out the best ways to overcome this digital divide and get that access to where it is needed the most. I encourage you to check out the whitepaper to learn more. What can be done? Is there anything schools and districts can consider when it comes to providing access at home? I believe there are 3 considerations. Throw Open The Doors-Because of initiatives like ConnectEd and others, many schools are now able to provide faster and faster connections in the classroom. While there is still work to do (as you can see in this report from Education Superhighway) progress is being made. After about 4pm in most schools the doors are locked up for the night and everyone goes home. That internet connection just sits there unused. If we want to make schools the center of our communities again, why not throw open the doors and keep the schools open a few days a week giving the community access to that connection? Sure libraries and community centers already do this but why not add additional locations that have good equipment and are already set up? Staff it with volunteers and classes in basic technology skills, digital citizenship or other necessary skills could be offered. LTE Access-One of the ways I was able to provide access at home to students who needed it was to purchase devices with data plans built in. I was able to secure a grant to buy hundreds of devices and to pay for the data plans for a year. Each device had unlimited access and I had a deal with the data provider for a low cost plan after the grant ran out. This worked great for my high school students who needed the devices at home to complete senior projects, apply for college or study for entrance exams. There were some students who abused the devices and the plans but we had reporting set up to make sure we could intervene with that student and have a conversation. This may not work for every district. It can get expensive and may be out of reach but even offering something like a hotspot (like the NY Public Library does) could help to close that digital gap. Partners, Partners, Partners-Another way we worked to provide that access home was to partner with local ISPs and businesses to reduce the cost as much as we could to high speed internet connections. Families could apply for a discount and receive that connection at near to no cost. The program was supported by the ISP and many businesses chipped in as well. Start by talking to the major internet providers in your area and see it they have a program like that. If not, maybe you can start one! I know some of these solutions may seem over simplified. Providing internet at home is a challenge in many locations for a variety of reasons. There are many barriers and factors to providing that access. These are just a few options to consider to help provide that access to those that need it the most. For more content like this, follow Samsung on Insights, EDU Twitter, EDU LinkedIn , YouTube and SlideShare. When I began to introduce Bring Your Own Device (BYOD) to my former district one of the questions (albeit anxiety filled) from teachers was with all these devices in the classroom how will we make sure students are doing what we need them to be doing? 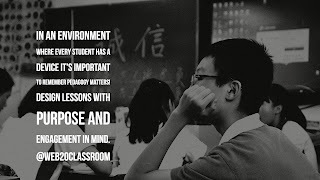 We spent a great deal of time with them talking about pedagogy and why designing lessons that were highly engaging was critical in an environment where every student has a device. 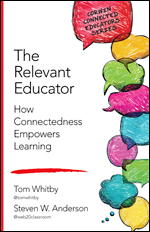 While those conversations around content and pedagogy are important, the need for specific tools to enhance that learning environment are crucial. Being able to push content to devices, especially when all those devices are different is important as well. There are several ways for teachers to push content to student devices, however, there is a new tool that will be worth the time investigating especially if you teach in a 1:1 or BYOD classroom. 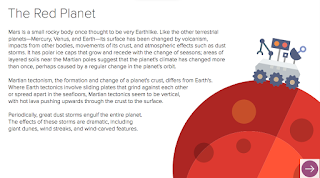 Recently, I was introduced to Ormiboard and over the next few weeks I am going to explore what it is and it’s potential impact on the classroom. To start we will look at the basics, what it is and how it works. 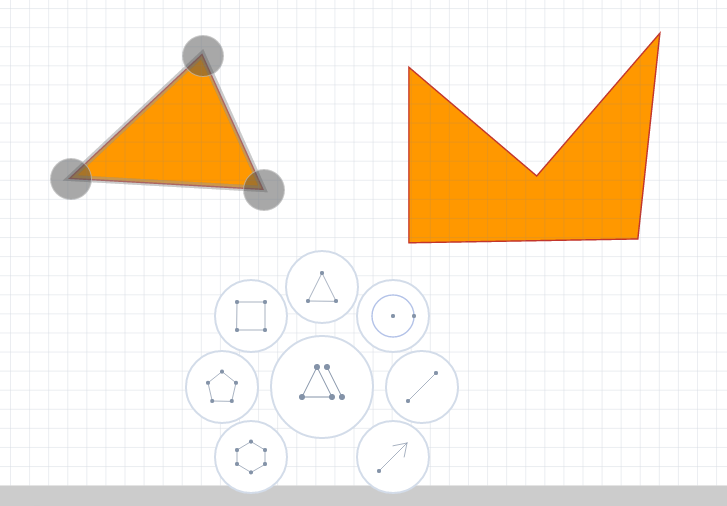 Then we will look at how it can be used to build interactive lessons for any device. And finally we will examine some advanced features and what’s coming. To start let’s get a basic understanding of what Ormiboard is and how it works. 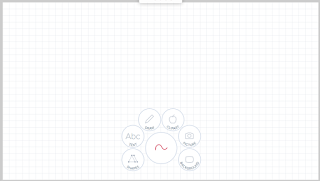 Ormiboard is a collaborative interactive whiteboard workspace that is browser based and works on virtually any device. To start, head over to https://ormiboard/com and register for an account. Right now accounts are free and have all the features, although there are plans in the future to have paid accounts with additional features. You can sign up through email or use your Google Account. The idea is that an interactive lesson using a virtual whiteboard space can be created and then joined by students or other participants via a code. Users don’t need an account to use any of the features or join sessions but by having the account you can save your boards and get access to additional features. Once registered your workspace is created and you have access to several featured boards to get started. I jumped right in started creating a new board. You also have the option of importing an existing interactive whiteboard file like those from a SMARTBoard or Promethean Board if you choose. If you import those you will notice a few of the interactive features don’t import but I am told that is currently being enhanced so any can be used. If you are familiar at all with creating IWB lessons or even PowerPoint or Google Slides presentations creating content in Ormiboard will feel similar. As you can see there are a variety of tools you can use from inserting text or images to changing backgrounds or adding clip art. 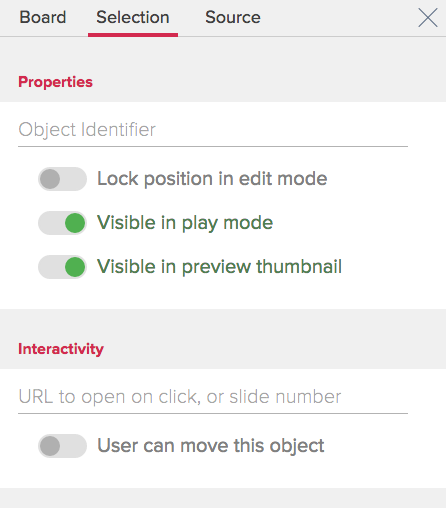 When adding that content you get a lot of control of how it looks and feels. From adding shading and colors to objects to even the way those objects look everything is done through a point, click and drag process. 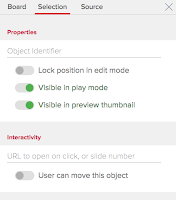 One of the more advanced features you’ll want to explore are the individual object controls. Things like if the object is moveable during interactive mode or hidden, etc. You can create some interesting object controls by mixing up how the objects are moved or used. Once you satisfied with the content on that board you can choose to be finished or add a new board and continue to build out your lesson. Once finished your board is ready to be shared. Students (or adults if you wanted to use this for delivering Professional Development) visit the same Ormiboard link as before. The difference is they enter the code seen at the top of the board to join the lesson. Once they do the will see the content on their device and as it is manipulated and changed by the teacher it will be changed and manipulated on their screen. To get a good sense of what is possible with Ormiboard check out the sample boards they have when you sign up for an account. These featured lessons have a lot of advanced features like automatic movement of objects and some interactive games built in. The Mission To Mars is a great example of what is possible with embedded video, a quiz and movement of objects all right there to explore. And you can copy any of the featured lessons to modify and make your own. There are plenty more features to explore like the coding that can go into lessons, quizzes and more. But we will save those for a future posts. Invite a handful of student or friends to try out the collaboration features with one of the Featured Lessons. In the next post we will explore how to add some simple interactivity to an Ormiboard lesson and take a look at the polling and quizzing features.